« Wisdom, Merit, and Purification Through the Blessing of the Thirty-five Buddhas. We continue our exploration of the natural state of mind through meditation and the study of the Mahamudra Prayer by the Third Karmapa Rangjung Dorje. 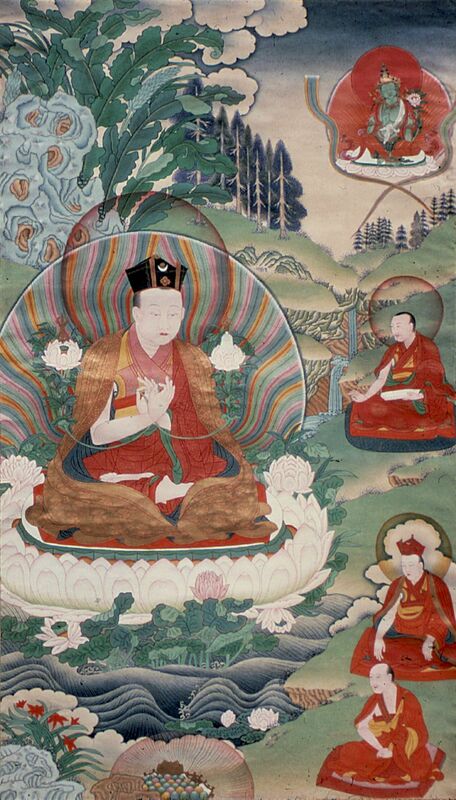 The Mahamudra Prayer by the Third Karmapa Rangjung Dorje is a short yet thorough and profound text, which presents all the essential points of Mahamudra teaching in terms of view, practice, and fruition. It is a classic that, especially in the tradition of the Karma Kagyu school of Tibetan Buddhism, has been and is widely used whenever a disciple is given a first introduction into Mahamudra. The Third Karmapa shows how to recognize our ultimate potential as a Buddha. Mahamudra is the ultimate nature of mind—the Mahamudra Prayer is both an aspiration that all sentient beings realize the mind’s true nature, as well as a clear concise and complete explanation of how we can do so. Such teachings are priceless and all who aspire to realize the luminous clarity that is the basic nature of mind would benefit greatly from studying it.